Brownie Christmas Sleepover and a Very Scary Cave! 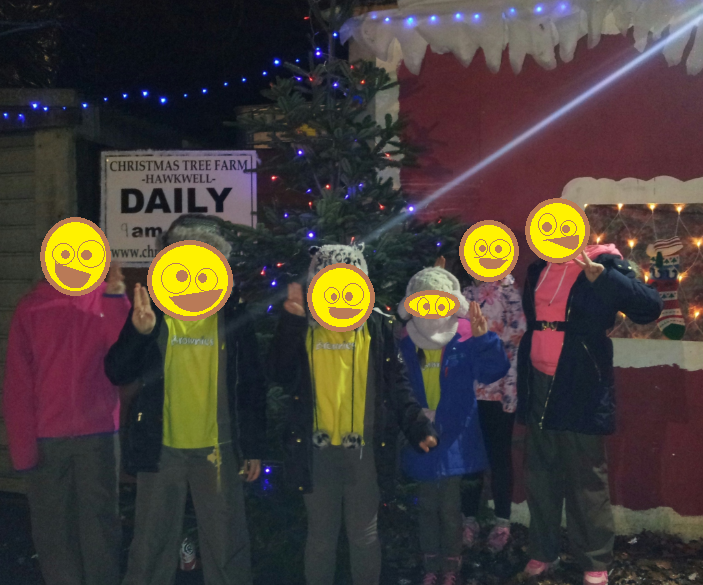 When we stayed at Belchamps Scout centre in the summer we came across a leaflet for their Christmas sleepover. As a leader it was fantastic! Imagine giving your Brownies an amazing residential experience without all the planning. I feel I could easily stop running the usual Brownie Holidays and adopt regular visits to these fully catered adventures but it does come with downsides which I’ll discuss later. 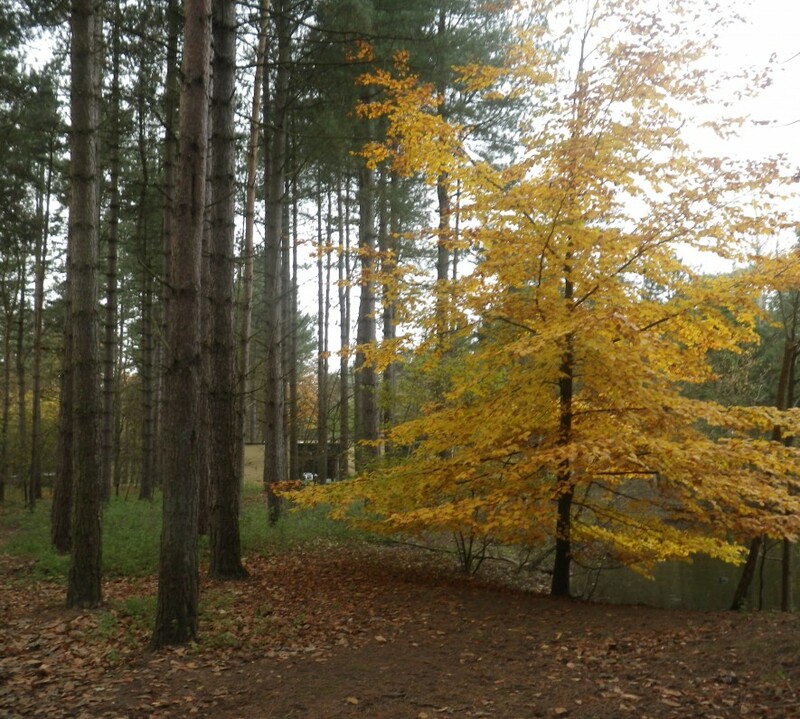 We arrived Friday night in the dark, lugging all our overnight bags and pillows through the forest to our holiday house. The Brownies arrived one at a time and we got them settled into their room. 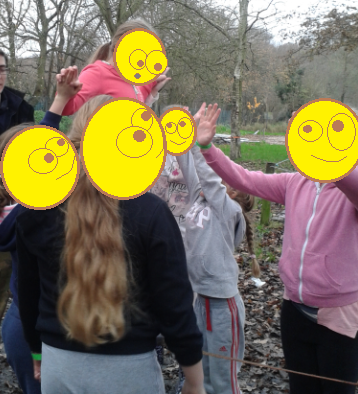 As we hadn’t done anything like this before, all the planning out of our hands, we only took 6 Brownies and 2 Leaders (all signed off by our residential advisor). We shared a holiday home with another Brownie unit so we got all the girls together to introduce each other, then we headed to the large indoor hall for relay games. Our six Brownies against the other 12 Brownies, and two teams of Cubs. The Brownies were very gracious at hearing they came second overall, when they knew they were the real winners due to an error by another group which went unnoticed, meaning they won the final game. No moaning from our girls at all 🙂 The relay games were a bit of fun, and this was followed by campfire songs outside. Though I was just as gutted as my Brownies at forgetting to bring our blankets with us! We learned some new songs and helped the instructors with the ones we already knew like the banana song and the pirate song. We then got to meet Father Christmas! (Not had to deal with “Why is Brownie S saying there is no Father Christmas?” before…) Then we headed for a hotdog before bedtime! Saturday was a full on day of activities! We were up and at breakfast by 7.30am, then the girls had 10 on site activities led by instructor Chris and work experience instructor Liam. Each activity was 30 minutes which was loads of time for our group of six. We started with mini crossbows which some of us were accustomed to following Brownie Holiday last year. Swallow and I joined in, but I felt a bit rotten when I knocked down the can castle! This was followed by the traversing wall, the girls were fab at this and played a game called sharks where they had to avoid being the last off the floor. We then headed for the demolition derby. Basically an inflatable with four stands and a large boulder to knock each other down! It was a little lacklustre but that may have been the girls were a bit too small to push it hard enough to knock each other off, but they still enjoyed it! After getting loads of new badges in the shop we tried slacklining. Having never heard of this before I wasn’t expecting much but this turned out the be a fantastic activity. The idea is to walk along a fabric, elastic tape which was tied between two trees. The girl walking had the assistance of the rest putting their hands up to lean against. It showed great teamwork! They then attempted a more difficult task. Two girls on the tape facing each other, with two escorts steadying them across. They had to figure out how to pass each other without stepping off the tape. Well, they figured it out first time! It was great! They each then had a go at some tricks on the tape assisted by Instructor Chris. Next was the assault course. A couple who came to Brownie Holiday last year knew what to expect… a lot of mud! But they all had a go, got muddy, and cleared the course. Girls can! They faced each other in the bungee run. Raced each other on the pedal karts and had a short go at archery. We also made smores, including a new ingredient – dough?? I was nervous about the Brownies going into the caving experience. From the outside it was a large box. Nothing more that we could see. The Brownies were given their helmets, Instructor Chris said he would lead them in and then leave at the exit before entering the main cave. I asked if they would get stuck and he said some have been stuck before but he can guide them out. I was worried, so it didn’t help when we got to the entrance and one Brownie was already freaking out and asking me to join her! I looked at Swallow and decided I had to go in! I was given a helmet and had the girls led me into the mineshaft. It was completely dark, no light at all. The girl who asked me to join them was already crying out and there wasn’t much we could do until we got to the exit following the mineshaft. She was encouraged to go through the cave with a light on her head, how lucky for her! I somehow ended up wriggling around on the floor, pitch black, unsure where to go with only feeling the fake rocks to guide myself. Four girls, including the one with a torch, vanished quickly. I was behind with tiny Brownie, and another who was further ahead that I didn’t know she was scared too. Instructor Chris ended up helping her through the maze while I went ahead just trying to figure out how to get out! All six Brownies, and myself, somehow made it through the cave and I couldn’t have been more proud of them! During the Saturday we had a lovely Christmas dinner, and a finale singsong. It was a fantastic sleepover, Brownie R described the motto of the weekend ‘Learning to Work Together’ and I completely agreed with her. Some downsides include conflict of Brownie Holiday rules with the other group and the impact on our Brownies (some even refused a drink! ), the Brownies had no input in activities, helping with housework or cooking, and it really wouldn’t count towards the Brownie Holiday badge so we will continue our regular residentials but we are definitely planning to return next year too! I think all the Brownies gained confidence through trying new activities, re-enforced friendships with Brownies they might not necessarily have worked with before and built a little bit if independence being away from home. My favourite moment of the whole sleepover though was a natural moment on Friday evening. The Brownies were given Christmas pencils from Santa, I was holding two with Christmas Trees on the top for a couple of girls. One Brownie then started dancing her Snowman around the Trees and starting singing” Rocking Around the Christmas Trees…”, and we all joined in the whole song, it was such a lovely moment I won’t forget! With all the training I had done with ‘Couch 2 5k’ I was looking for a new challenge to keep my motivation for running. I thought it would be a good aim to look at doubling the distance I could run. 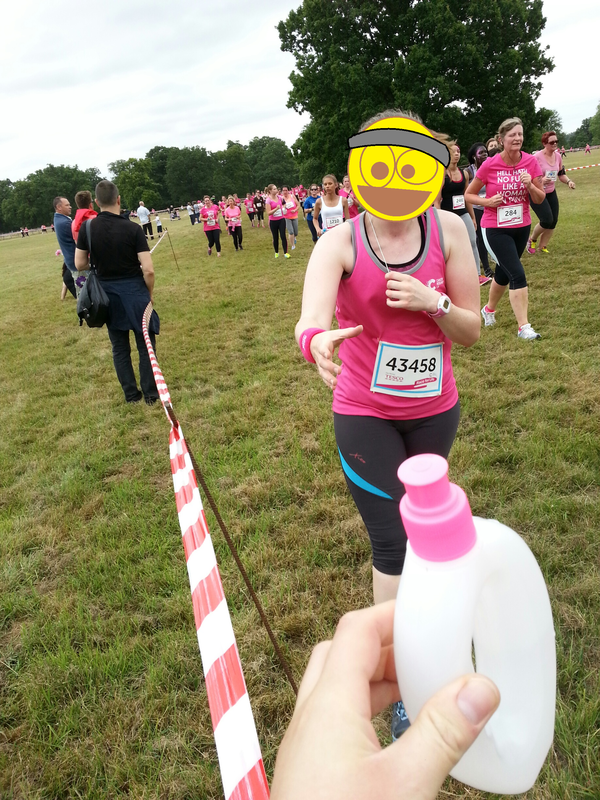 I took up my training for the 10k run in September 2014, with an aim to run Race for Life in July 2015. This gave me plenty of time to train for my goal. I signed up for the race in January 2015 and was sent information on how to fundraise, what to expect on the day and my race number. At this point I set up a training programme, a mixture of strength and stretch workouts and gradually increasing distances. Over the winter it was difficult to keep up motivation for going out in the dark to exercise so I started including weight training indoors into the schedule to improve the strength of my legs. As the mornings became lighter I started a new training programme using my Garmin Forerunner 10 watch to time and check the distance of my running. My aim was to run 5k three times a week, with a longer run on a Sunday to build up to my 10k target. Before the race I only completed 10k on one occasion, on Sunday 28th June. I completed this in 1 hour and 9 minutes. This was confidence building for the day as I knew I could complete it. On the day of the 10k run I attended Chelmsford Hylands Park for the start at 1100am. Starting the race was quite daunting as I didn’t know what to expect. I’d only ever run on pavement and hadn’t run on grass before. I found the first 5k quite easy, and I seemed to be ahead of time. The race became difficult between 7km – 9km and I struggled with the hills around this section of the course. However, when I reached the sign for 500m left to go I felt a boost of energy and ran at a steady pace to the finish line. I completed the race in 1 hour, 1 minute and 29 seconds. I was very happy to finish in a time so close to the hour, and was surprised I must’ve held a very steady pace. Through sponsorship money I raised £195 for Cancer Research UK. I covered at least 30 hours in my training for this event, running or working out at least an hour a week over ten months.